The following upload comes as a request, and features Swiss minimal synth band Starter’s entire discography. Starter formed in 1981 as a three piece, led by Francis Foss, who remained the only original member after a personnel switch in 1985. 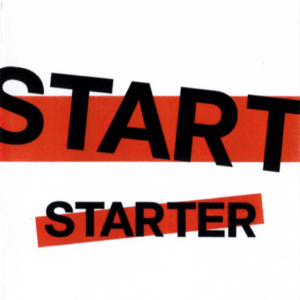 Starter would release one LP in 1981, followed by several 12” releases throughout the late eighties, calling it quits in 1989. Francis Foss was also active in Shy Rose, a Swiss Italo Disco act who released a handful of singles. In 2004, Topfuel Entertainment collected Starter’s discography and released it as an extremely limited CD-R pressing, sold alongside a DVD of various live performances over the years. Only sixty copies of this fine release exist, and I’ve had my eyes peeled for ages. Snap one up if you see it! Otherwise, here’s the information for the CD-R portion. *DOWNLOAD LINK REMOVED* – ATTENTION, dear readers- you can now get a remastered copy of this LP via the always excellent DARK ENTRIES label, an awesome reissue label based out of the west coast. Click here for more info! Ladies and gentlemen, I am pleased to report that the entire 2008 backlog of Systems of Romance has been reuploaded and is live once and for all! It was a tedious, tedious process, so thanks for your patience. Feel free to scour the backlogs for fresh links, and if anything is amiss, drop me a note. Otherwise, I have a post ready for this afternoon, so expect regular activity to resume on a more steady basis. Happy (post)holidays! A request for today, ladies and gentlemen. 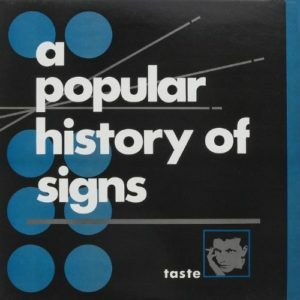 This post contains London based minimal synth/new wave band A Popular History of Signs and their 1987 singles collection, Taste. 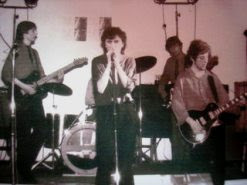 The three-piece outfit (centering around Andrew Jarman on bass/vocals, Peter Scammell on keyboards, and Paul Clarke on percussion) released their first 7” record in 1980, and ended with this compilation and their final LP, 1988’s England in the Rain (which featured a slightly expanded lineup and a more pop-oriented approach). Though the band never earned a huge following, they remained a cult favorite, attracting the attention of Ministry’s Al Jourgenson, who remixed both ‘Ladder Jack’ and ‘House,’ both versions which appear below. The rest of the compilation tracks appeared originally as 7” and 12” releases over the course of the 1980s. Andrew Jarman is now flying solo under the Southern Arts Society moniker, recording and playing to date. *DOWNLOAD LINK REMOVED* – reissued on all your favorite digital media outlets! Les Joyaux De La Princesse are a most recent obsession of mine, and I am pleased to offer up a record that’s been buzzing in my ears for a week straight. In short, Les Joyaux De La Princesse is a one man project from the heart of France. 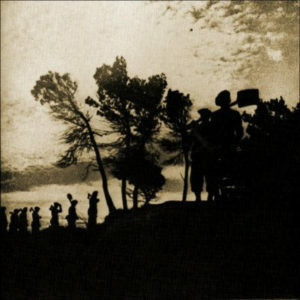 Les Joyaux De La Princesse has dabbled in several styles over the course of countless collaborations, generally circling around the industrial/noise/dark ambient realm. The project began as far back as 1986, but the first recorded work, the cassette uploaded below, appeared in 1989. Since then, Les Joyaux De La Princesse has released countless limited edition records, each acting as a brief audio document of French history dating back as far as the 1930s. Les Joyaux De La Princesse has also collaborated with several key players in the scene, including the likes of Death in June, Muslimgauze, and Blood Axis. As of 2008, the man behind Les Joyaux De La Princesse records additional material as La Voix Des Nôtres. Second post for today, ladies and gents. Feeling a bit productive today. Below lies a recent favorite of mine, making its way into my latest DJ sets. 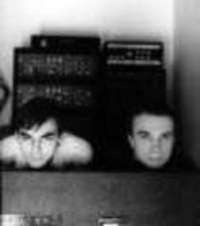 The Canadian synthpop/minimal wave band Rational Youth began in 1981 as a duo. Members Tracy Howe (ex-Heaven 17/Men Without Hats) and Bill Vorn released several singles and their debut record, Cold War Night Life in 1982. Soon after the record was released, Bill Vorn departed, marking the beginning of several lineup shifts that would occur over the following years. Several EPs and one more full length (1985’s Heredity, more of a Howe solo record under label intervention) followed before Howe retired the name for almost a decade. In 1997, Howe reactivated Rational Youth, releasing one more record and touring for four years before playing their final show in 2001. Bill Vorn would join Tracy for the very first show, but could not return to the band full time, instead choosing to persue his interactive robotic work. 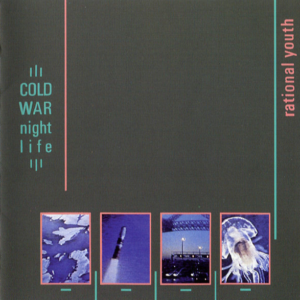 Uploaded below is the original Rational Youth LP, Cold War Night Life, released in 1982 by the original two-man lineup. This album was re-released in 1997 on CD with a few 12” bonus tracks, also generously uploaded below. *DOWNLOAD LINK REMOVED* – mp3s now available through your favorite digital outlets! Some classic post-punk on the slab this afternoon, half of this post which comes as a generous donation from Jeffo!, a good chum, stellar dj, and otherwise obscure expert here in the heart of New York City. He’ll be spinning a set at this week’s weekly Wierd Records night, if anyone’s in town. 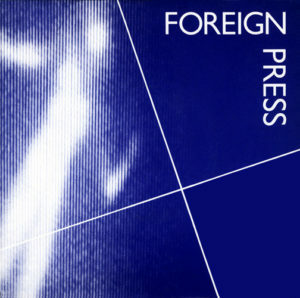 That said, today’s band is Foreign Press, a UK based post-punk act originally formed in 1978 umder the name Emergency. Within a year, the band shifted their sound from a more standard punk aesthetic to incorporate more post-punk leanings, inspired by the likes of Joy Division, Magazine, and several of the Factory Records bands. The band would even bring Joy Division’s devoted manager, Rob Gretton, in for production on their first 7”, uploaded below. 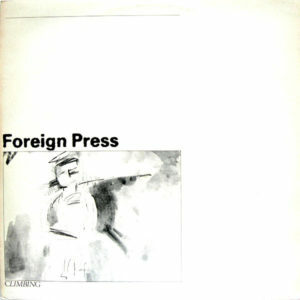 Foreign Press would release four singles before their demise in the mid-1980s, exploring a more commercial, yet no less gloom-ridden direction over time. For your listening pleasure, I’ve uploaded their first two singles, both their 1979 debut 7” (Downpour), as well as their excellent 1982 follow up, Climbing. Let’s get down to the nitty gritty, shall we? Naturally, these two records are long out of print, but there seems to be a copy of the Climbing 12” on Ebay right this very second. If you’re hip to it, happy bidding!